When archaeologists discovered an ancient Egyptian brewer from 5,000 years ago, you would think the old beer hot spot would have been located closer to Egypt. Instead, the discovery was made in Tel Aviv, Israel. In a related report by the Inquisitr, bottles of 170-year-old beer and champagne were preserved underwater in a sunken ship discovered off the coast of Finland. When curious scientists decided to taste the old beer, their first reaction was to describe the ancient beer as smelling like burnt rubber and goat. While it definitely sounds like this old beer would require the hair of the dog the next morning, this sour beer was definitely interesting in that it was also fruity. 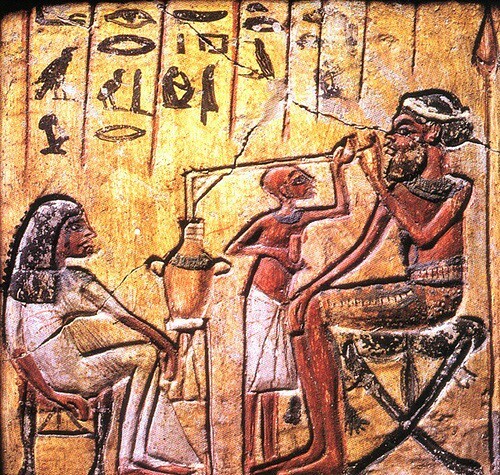 It’s uncertain whether or not the old beer produced by the ancient Egyptian brewery was intended for special occasions, but they do know the entire population were active beer drinkers. Speaking of which, how did they know the ancient Egyptian brewery was actually Egyptian since the discovery was made on Hamasger Street in the heart of Tel Aviv, Israel? It turns out the pottery was different from the local breweries. Unfortunately, the archaeologists were not lucky enough to find any preserved remains of the old beer locked within the ancient Egyptian brewery. While no one would probably want to do a taste-testing after so many years, a chemical analysis could have provided hints to how ancient beer used to taste.